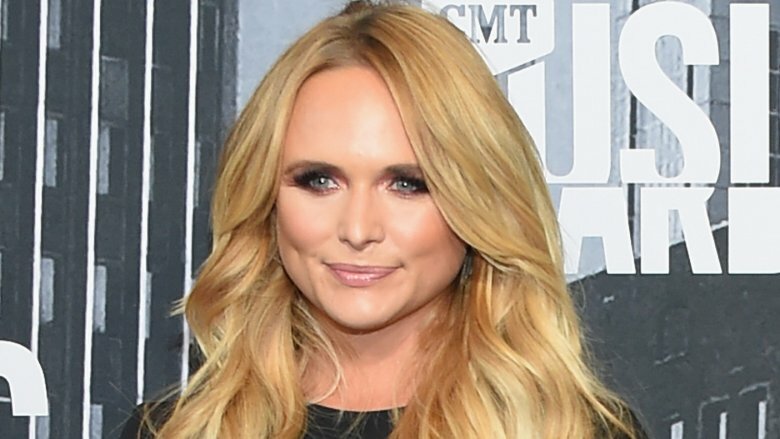 Miranda Lambert is one of the queens of modern country music. She has an undeniable sass, doll-like looks, pipes for days, an endless well of charisma, and incredibly moving, empowering lyrics. Aside from her stellar music career (and boy, is it stellar — she has more Country Music Association Awards on her mantle than anyone else in history,) Lambert is an amazing lady who does lots of great things, including rescuing more than 100 lost and displaced pets from Hurricane Harvey with her MuttNation Foundation and calling out Chris Brown for assaulting Rihanna even after it seemed like a lot of the world had forgotten about the incident. Still, there's a darker, stormier side to Lambert that's been well-hidden until somewhat recently. The private superstar hinted to Marie Claire back in December 2014 that she's "complicated" and "not all sunshine and roses." Get to know her shady side. 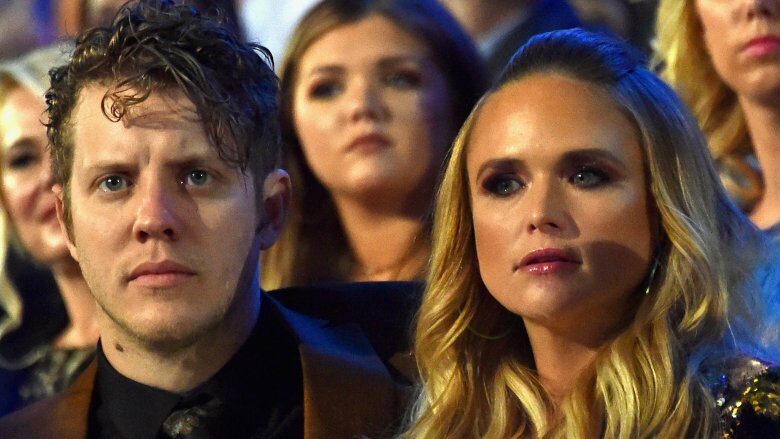 In early April 2018, Us Weekly reported that Lambert had ended her romance with country singer Anderson East, but that the split was amicable and simply the result of spending so much time apart because of work commitments. Insiders even speculated that they may reunite in the future, and a source told InTouch Weekly that Lambert was "devastated" by the split and "didn't see it coming." 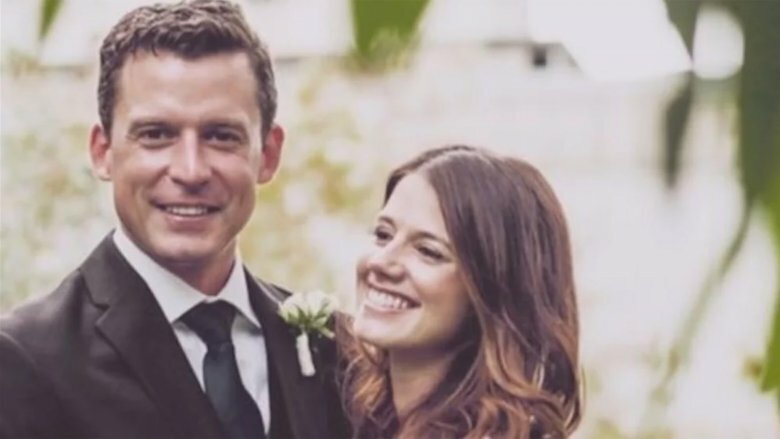 Well, she sure moved on quickly: Just two weeks later, rumors surfaced that Lambert was allegedly dating Turnpike Troubadours frontman Evan Felker … who just so happens to be a married man. A source told Us Weekly that Lambert and Felker "are very much involved." Felker's band is Lambert's opening act on her Livin' Like Hippies Tour, which began in January 2018. Us Weekly reported that Felker filed for divorce from his wife, Staci Nelson (they wed in September 2016), in February 2018, just weeks after his tour with Lambert began. Sure, one could note that Felker comes off looking shadier in this situation, since he was the married party, but still … yikes. Did her alleged flame ghost his wife? Lambert may want to watch out, because typically the old adage of "how you get 'em is how you lose 'em" rings true — and insiders claim that Felker straight-up ghosted his wife in favor of cavorting around with Lambert on tour. A source told People that while Lambert denies being the reason for Felker's divorce, "The notion that [Felker and Nelson's] divorce happened for any reason other than that is complete bulls**t." The insider added that for the first two nights of the tour, Felker "was in love with his wife," but by the third night on the road, Felker emailed Nelson to tell her he wasn't coming home that week. The insider claimed that if it weren't for Lambert, he would still be very much smitten with Nelson, adding that he came clean about the relationship in March 2018. "The notion that he was planning to divorce [Nelson] before he met [Lambert] is complete insanity," the source alleged. Making matters worse, Felker allegedly ignored Nelson throughout the tour, despite reportedly trying to have a baby with her before he left. A source told Us Weekly that he wouldn't answer his wife's calls or messages, and that she found out he'd filed for divorce by reading a news report. In her response filing, obtained by Radar Online, Nelson cites "abandonment" as the reason for the split. For her part, Nelson has been quiet about the rumors involving Lambert, though she did post a sad selfie to social media, writing: "PSA: If Staci Felker can make it through this week, so can you." Note the timeline of Lambert and Felker's relationship: The tour began in January 2018, but her split from East wasn't made public until months later. Some sources allege that's not a coincidence. A source told Us Weekly that Lambert and East were technically still a couple when she began hooking up with Felker, explaining that things had "just happened" between them on tour and during songwriting sessions. In fact, when the new couple first started spending time together, a witness who saw them brunching in public told Radar Online that they believed she was actually out with Anderson East at first, because she was being so flagrantly romantic. Even the father of Felker's wife hinted that Lambert may have cheated on East. "I don't like to spread rumors," he told Radar Online, "but I'd say you're on the right track." 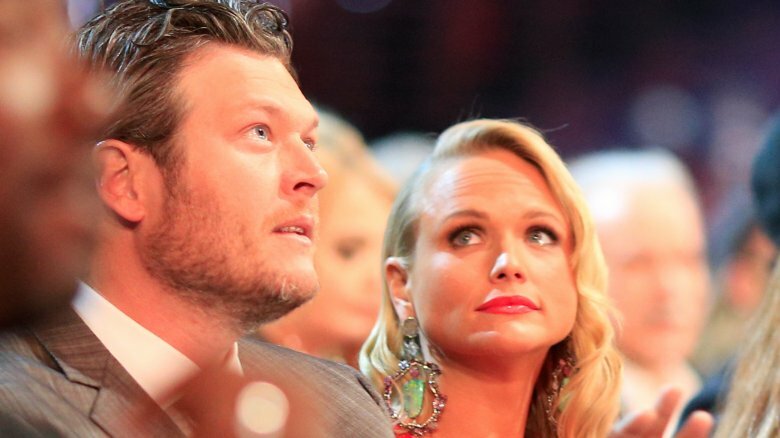 Though country music star Blake Shelton never outright said that his marriage to Miranda Lambert ended due to infidelity, he hinted at it in his song, "She's Got a Way with Words," singing: "Little words like 'I' and 'do' / Lying, cheating, screwed / Yeah all the words I thought I knew / They got a brand new meaning now." He also tweeted after Lambert's love affair with Felker went public: "Been taking the high road for a long time … I almost gave up! But I can finally see something on the horizon up there!! Wait!! Could it be?! Yep!! It's karma!!" Despite Lambert shacking up with East shortly after her split from Shelton, reports suggest East wasn't the man with whom she allegedly cheated on Shelton. Sources told OK! magazine that Lambert had several "dalliances" during her marriage to Shelton (including an alleged fling with married baseball player Josh Beckett), but it was her rumored coziness with her married tour manager, Ryan Westbrook, that supposedly sent Shelton over the edge. Rumor has it her own bandmates revealed the truth to Shelton. "He'd taken Miranda back time and time again, and he would have done it again had she owned up to her mistakes and corrected them," a source claimed, alleging that Miranda refused to apologize and chose to end the marriage. "It was a crushing blow to Blake's ego." However, we should note that sources close to Lambert have consistently denied that she was ever unfaithful to Shelton. Of course, Shelton's own karma may have come into play when his marriage to Lambert came crashing down: He reportedly met Lambert when he was married to his first wife, Kaynette Gern, in 2005. In 2011, Shelton admitted to Behind the Music (via Us Weekly), "I was a married guy, you know, standing up there going, 'Man, this shouldn't be happening.' Looking back on that, I was falling in love with her right there onstage." The same year, Lambert told Dateline (via the New York Daily News) that she knew Shelton was married and that pursuing a relationship with him was wrong, but she did it anyway. Lambert's own ex, Jeff Allen, called Shelton out for his apparent hypocrisy concerning the aforementioned "karma" tweet. In a since-deleted tweet of his own (via Us Weekly), Allen wrote, "You know, I've always given you the benefit of the doubt and chalked it up to just being human, but you must be one arrogant SOB to pop off something like this, when I know damn good and well you were cheating on your wife and Miranda was cheating on me when you two started up." Does she abuse her star power? 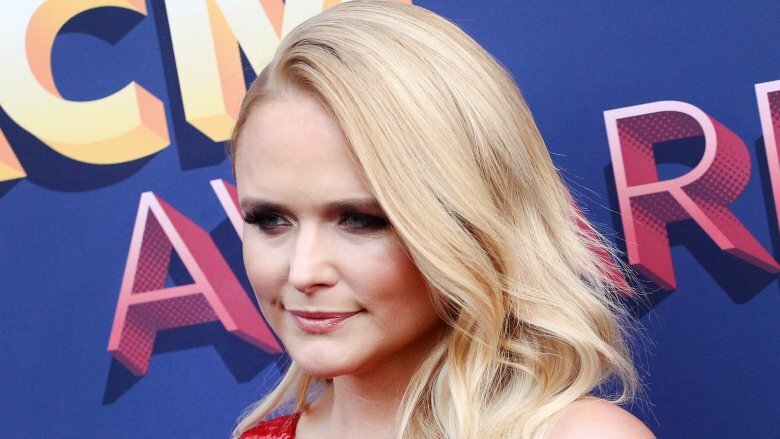 Does Miranda Lambert abuse her power in the industry? Sources close to Felker claim she wooed him with her fame as the queen of country. An insider told People that before leaving for their tour together, Lambert and Felker began texting. At first, the sources claim, the texts were friendly and professional about looking forward to working and writing together, but those messages allegedly grew increasingly flirtatious as the excursion neared. "He knew it was flirty and crossed a line with Staci. He showed her the whole thing and felt bad about it," a source said. "It wasn't sexual or anything, but he was like, 'I don't want to blow her off because this is the kind of money that can change our grandkids' lives if I'm able to write with this person.'" What's more, sources said Lambert dropped hints at hooking up with Felker on social media, posting photos of his favorite beer and writing gear (including his signature graphing paper) before reports of their romance went public. Felker wasn't the only man allegedly blinded by Lambert's success. A source told InTouch Weekly that it wasn't lost on singer-songwriter Anderson East that he was launched into the "musical A-list" once he and Lambert went public. Still, it's also important to ask: Is Lambert leveraging her fame to win men over, or are these gentlemen actually just trying to use her to further their own careers? Sources close to Lambert have insisted she did nothing untoward with Felker and wasn't responsible for his split from his wife, having apparently been under the impression that their marriage was already over before she set her sights on him. A source told Hollywood Life that Lambert generally has an "all's fair in love and war" attitude, so she seized the opportunity to connect with Felker when it presented itself. What's more, insiders claim that Lambert thinks Nelson should apologize to her for "airing [their] dirty laundry in public" and insinuating that she's a homewrecker. However, others allege that Lambert is deliberate in her pursuits of married men. A source told Us Weekly that "this is a pattern for her," while another insider said she has issues staying faithful to anyone with whom she's in a relationship, adding, "Miranda is insecure and has too many 'yes' people in her life. She does this to herself. The people around her don't feel bad anymore." Does she like to play the victim? 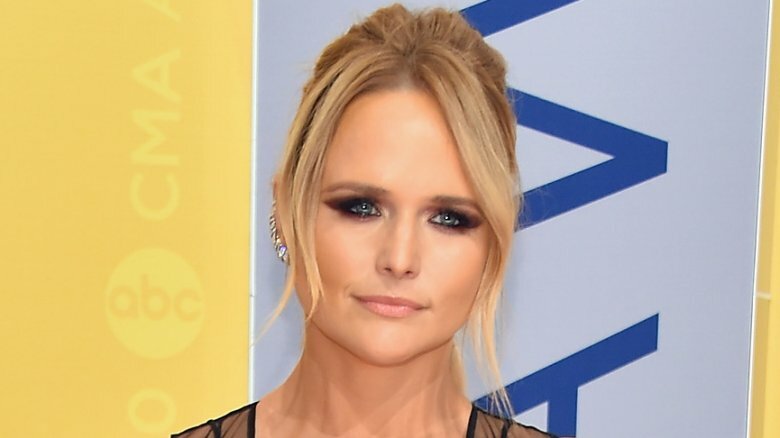 Perhaps a large reason why Miranda Lambert's sketchy love life has gone relatively unnoticed (or at least had not been widely commented upon previously) is because her breakup songs — which often paint her as being wronged, scorned, and heartbroken — are just so good that you can't imagine they'd be deceptive. 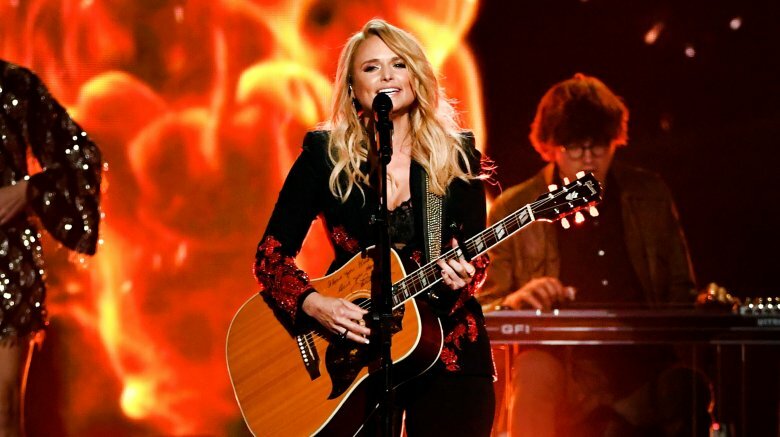 When she won the 2018 Academy of Country Music Award for song of the year for the heart-wrenching "Tin Man," she thanked the audience for "sharing [her] broken heart." Following her divorce form Shelton, she made cryptic social media posts about "heartache," but she did not appear to actively court press nearly as much as Shelton — though it's unclear if that was because Shelton was trying to rub her nose in his new relationship with fellow The Voice coach Gwen Stefani or if it was due to Lambert simply wanting to avoid uncomfortable questions. Lambert did, however, lament to Cosmopolitan in January 2016: "We were together for 10 years, married for four, were very quickly divorced, and are friends. I'm still processing everything and figuring out where to go and what happened." 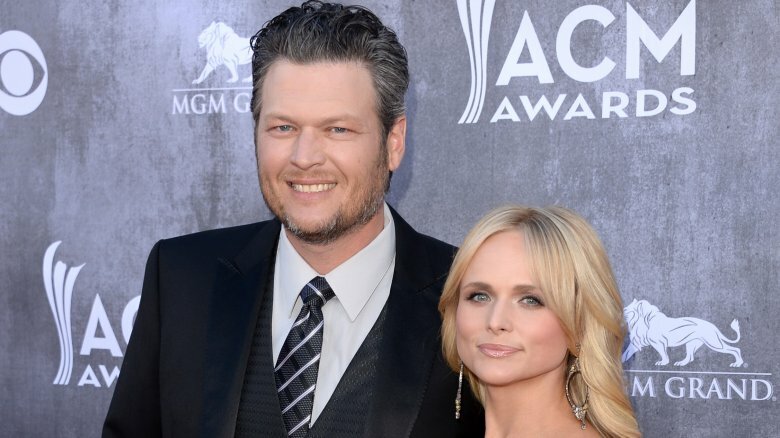 A source told Life & Style, "[Shelton] believes some things never change, including what he sees as Miranda's twisted relationship antics … Blake was always made out to be the bad guy after he filed for divorce and sent Miranda packing from Oklahoma. [Lambert] played the victim." 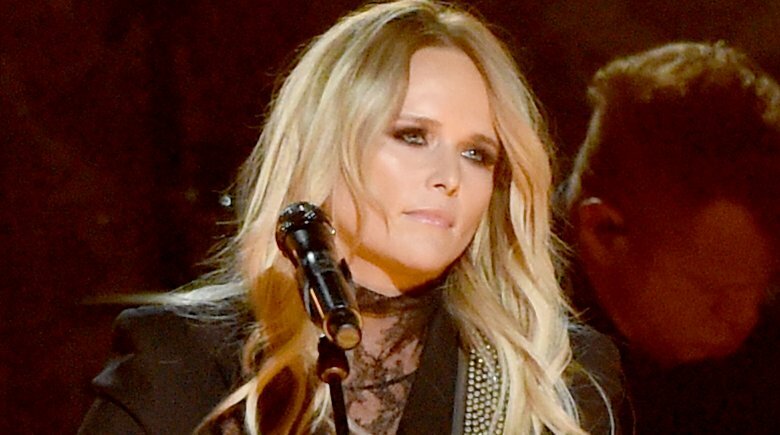 Adding to the victimhood narrative: In January 2018, long after Miranda Lambert and Blake Shelton had each ostensibly moved on from one another, she shaded him during a live performance of her hit song "Little Red Wagon." 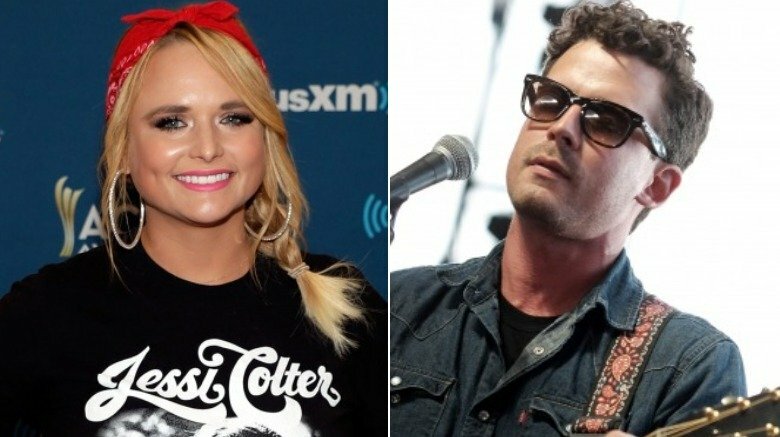 The normal lyrics include the line "I live in Oklahoma," where she had, in fact, resided with Shelton during their 10-year relationship. However, the petite spitfire altered the words to the track, snapping to the audience, "I got the Hell out of Oklahoma." The country community took it as a slight against her ex. That shift was significant because Lambert had rarely acknowledged her divorce live, save for thinly veiled references to heartbreak — and a lot of tears when performing "Over You," a song she co-wrote with Shelton in 2012. While her personal life can seem like a bit of a mess, Lambert is hugely successful and acclaimed in her professional life … at least she is now. 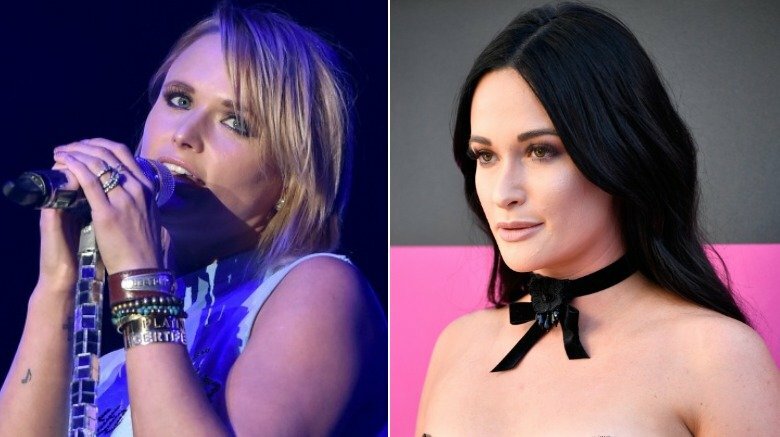 In the past, however, there are rumors about conflict between her and fellow country singer-songwriter Kacey Musgraves over Lambert's hit song, "Mama's Broken Heart." Musgraves reportedly wrote the track and was reluctant to sell it to any other artist to record. In January 2013, Lambert, who grew up with Musgraves in Texas, admitted to The Boot, "We used to write together a lot and kind of went our separate ways. I don't think I was supposed to be pitched ['Mama's Broken Heart']. But [then], her sister actually shot some pictures at mine and Blake's wedding, and she was there, too. At our rehearsal dinner, I went over and asked her, 'Are you gonna cut this song or can I have it?' And she was like, 'I'll think about it for a couple of days.'" Musgraves eventually gave in, with the caveat that she had to sing harmonies on the tune. However, based on some perceived shade the "Space Cowboy" singer has thrown Lambert's way since, it seems like Musgraves may have been really reluctant to give up such a massive hit. In November 2017, country music legend Garth Brooks lip synced during his performance at the Country Music Association Awards. Keep in mind, Brooks had previously performing 12 shows in 10 days (yes, you read that right) before the CMAs. Brooks told press backstage that his voice "wasn't there anymore" at showtime, and they did a "game-day call" on whether to cancel, sing, or lip-sync. That wasn't good enough for Lambert's then-beau, Anderson East, who wrote on Instagram: "I keep a lot of my opinions to myself and respect anyone making music but as a person who tries to put on the best and most honest show I can night after night… this truly offends me. I was told country music is three chords and the truth." Lambert chimed in, too: "High five on this babe. If you can't sing then don't. It's better to be honest than to pretend. I think it's bulls**t. My favorite performances were live live. The truth." While honesty is good, Lambert's comments must have felt like a slap in the face to Brooks, who had previously given her a sweet shout-out backstage, telling press: "Let me tell you who fought the good fight tonight, in my opinion. Miranda Lambert. She is one of the few females that we play, so you think she'd want to play it safe. She stuck country music in all of our faces tonight. Traditional country music. So she's fighting the good fight." That adds an extra layer of "ouch" to Lambert and East's needless commentary on Brooks' showmanship, don't you think? Lambert's breakout hit was the 2005 barn burner "Kerosene," a breakup anthem that blasted up the charts. Though most of her lyrics were original, the music — down to a harmonica break and even some of the ad-libbed "ha" moments — were almost identical to Steve Earle's 1996 track "I Feel Alright." When it was brought to Lambert's attention (by the press and the public, but never by Earle himself,) she was quick to add a credit for Earle as a co-writer on the song, which entitled him to half the hit's royalties. He later told Rolling Stone, "I hadn't even heard it, and I felt bad telling her that I never would have done anything about it either if I'd known, because I don't do s**t like that. I've been sued enough, mainly divorces, so I don't particularly care to be involved in that myself." There were no hard feelings between them, and Lambert and Earle, who she has called one of her heroes, eventually collaborated on the duet "This is How it Ends."